So, I have read The Wonderful Wizard of Oz now and I was not disappointed! It’s a brilliant read and if you haven’t checked it out yet, then I can highly recommend it! I wasn’t sure what to expect because I am so well versed with the film but, once I began reading it I nearly forgot all about the film as I enjoyed the development of the book. I must admit, there are some rather striking differences between the film and the book and as I came across them it did get me thinking but I’m not sure if that is just because I had this post in mind! If you missed my last post where I explained why I’m doing this little study, then The book versus movie debate post will explain so please hit the link and check it out! I’m going to give you a little backstory on the book now. If you’ve already read it and you know all this then sorry, this next bit might leave you yawning! But for everybody who hasn’t read the book, lets get into it. The Wonderful Wizard of Oz was first published in 1900, written by L. Frank Baum, with illustrations by W. W. Denslow. 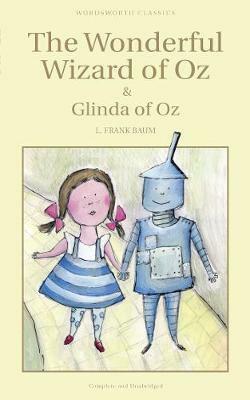 It tells the tale of Dorothy, a young girl from Kansas who, following a cyclone, is transported to the land of Oz. In her attempts to return to Kansas she joins forces with a Scarecrow who seeks brains, a Tin Man who desires a heart and a Cowardly Lion who is on the hunt for courage. Together, they overcome many obstacles to reach the Emerald City and seek the help of Oz. As their journey thus far has proven it is not straightforward and there are further obstacles to overcome to receive what they all desire. Eventually however, a happy ending awaits them all and finally Dorothy can return to Aunty Em and Uncle Henry in Kansas. In both the book and the film it is the magical slippers that enable Dorothy to return home but in the book they are silver and in the film they are red. I’ll be honest, the ruby red slippers are the image that first comes to mind when I think of the film so I was really surprised and a little disappointed to discover they are silver in the book. Research tells me that they are red in the film to ensure they stood out against the yellow brick road and that does make sense and I can understand the decision, but I wish they had just kept them silver as Baum envisioned them. They could have just made them super sparkly to stand out right?! Yep, in the film Oz is a dreamland, a place that Dorothy has dreamt up that turns out to be a fantasy land at the close of the film. Do you remember that scene where she wakes up and the farm workers are there…or the Scarecrow, Tin Man and Lion as we have known them up until this point? Well, in the book Oz is a real place, it really exists and Dorothy and Toto really travelled there and met all the people there and they really overcame all they experienced to return home. How wonderful is that? A real magical land rather than a dreamland. Apparently this wasn’t realistic enough for the film writers and they worried about how it would be received, hence the dream idea winning out, but in my opinion, the film would have been even better if they had kept Oz and all its inhabitants real. It’s just more enchanting! The book is far more violent than the film! There are scenes of murder in the book that don’t make the final cut in the film. I speculate that this is due to suitability for their intended audience. She is a young, brave girl in the book who is not easily spooked! In the film however, she portrays characteristics of the ‘damsel in distress’. A constant threat in the film, we meet her early and watch her attempts to defeat Dorothy to steal the slippers. In the book, it is close to the end before we even meet her and she is not as main a character as in the film. Dorothy is content with home and her poor lifestyle with Aunty Em and Uncle Henry in the book and yet in the film she is dreaming of leaving Kansas (remember ‘Somewhere over the rainbow’)? Of course you do! Also, in the film Aunty Em and Uncle Henry can afford three farmhands so they are clearly better off here than in the book! The Witch of the North is only a character in the book as is The Queen of the Field Mice, whilst Miss Gulch and the three farm hands only appear in the film. The Golden Cap is the tool by which The Wicked Witch of the West can control The Winged Monkeys in the book. The film chooses instead to portray them as her faithful servants. These must be worn within The Emerald City in the book but in the film they are non existent. The past of the Scarecrow, the Tin Man and the Cowardly Lion is really fleshed out in the book. We know what has caused them to be in their respective positions and we can understand why they each seek what they do. This is brushed over in the film though and instead we seem to just accept what they desire rather than question too heavily why. In addition to this, the Cowardly Lion is much braver in the book than the film! The poppy field in the film is enchanted by The Wicked Witch of the West and this is why they fall asleep as they attempt to pass through it. The poppy field in the book however is natural and the natural side effect of the poppies is sleep. Ok, so, she dies in both yes, and it is at the hands of Dorothy; courtesy of a bucket of water. BUT, in the book her death is demanded rather than the theft of her broomstick as the film requests. In the film The Wizard gives gifts that represent that the Scarecrow, Tin Man and Lion already possess the qualities that they have asked for. For example, the Lion is given a medal in the film; a medal that can only be awarded to those who are full of courage! In the book, The Wizard is seen to actually give the characters what they ask for. It is a smoke screen of course, but there just appears to be more effort. For example, he actually stuffs the Scarecrow’s head with bran and pins so that he is ‘full’ of brains. Now that I have summed up the differences between the film and the book, (please let me know if I missed any), I’m going to finish up by trying to answer the question I set myself: which is better? This isn’t an easy question for me to answer. I suppose, as far as character and plot development and attention to detail I would have to say the book is better than the film. It’s a real story of magic, written for children and because it is a real place it is far more enchanting than the dreamland of the film in my opinion. Also, I feel more of an emotional connection to the Scarecrow, Tin Man and Lion in the book because their stories are given more time and as a result I’m really rooting for them to get what they want in the end! I would have liked to have seen the film retain more of the details of the book but, as I said above, I can understand why changes were made. With this said, I can’t confidently answer that the book is better. At least not for me. I have a lot of sentimental memories attached to the film and I think because of that, it holds a special place within me that the book doesn’t…yet. To watch the dreary black and white land of Kansas transform into Oz, full of colour and music, is something that the book cannot give but the film does, expertly! It also triggers memories from my childhood that I can’t help but smile at. As I said at the beginning of the post, I really enjoyed reading the book and I will definitely read it again, so, perhaps, one day, it will hold equally strong memories with me which will enable me to answer once and for all which is better. For now though, I’m going to have to remain firmly in the middle and say I like both, for different reasons. I’m actually quite glad that this is the outcome, I was pretty nervous that I would end up hating one or the other and I really didn’t want that to happen! Question is, will this be the case with the next book versus film on the list? We’ll find out! Thanks for making it this far through the post, I know it has been a long one! I hope you have enjoyed reading my thoughts!